On 21.637 Mar. 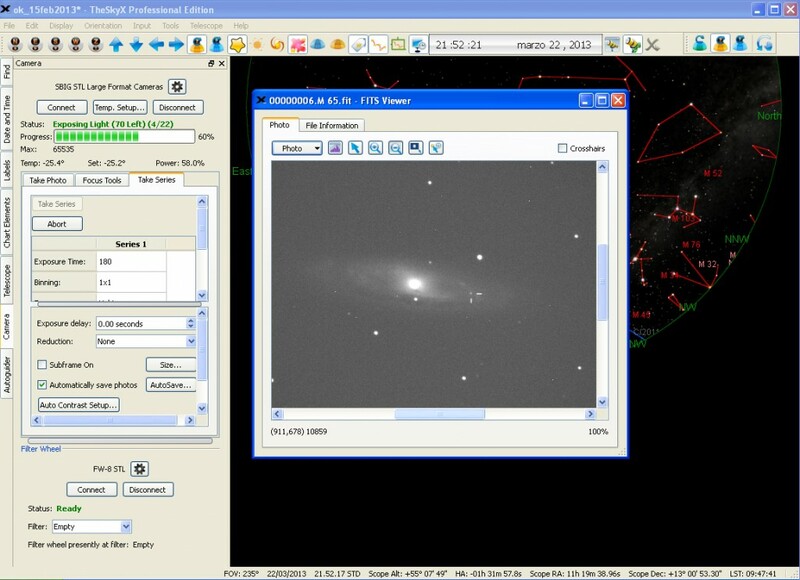 2013, M. Sugano, Kakogawa, Hyogo-ken, Japan reported the discovery of an apparent supernova in Messier M65. The candidate was published on the Transient Object Confirmation Page of the Central Bureau for Astronomical Telegrams. The Virtual Telescope Project contributed to its confirmation, providing photometry and astrometry for the SN suspect. Later, the object received its official designation, SN 2013am (CBET 3440). The Moon was bright and close at the imaging time. 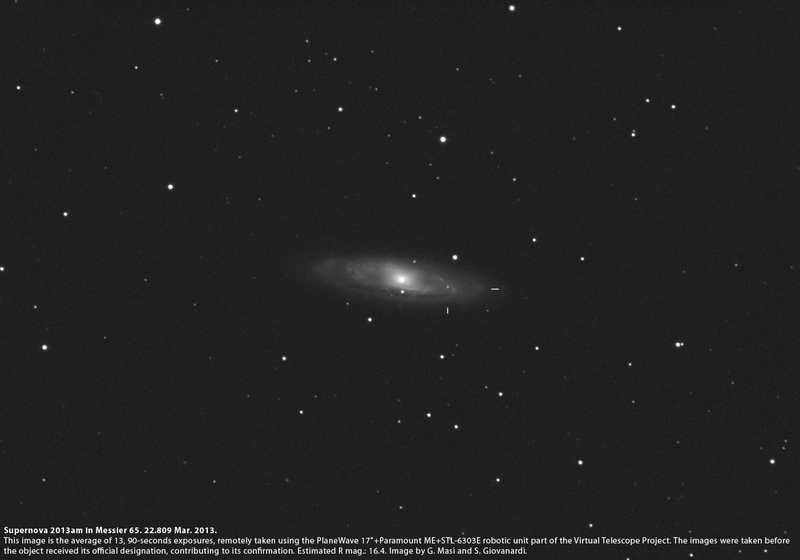 Here it is another image of Messier 65, without the supernova. Below is the supernova in real timer, while it was observed for confirmation.